(MENAFN - Arab Times) KUWAIT CITY, Feb 9, (KUNA): Kuwait Society for Inventors Support (KSIS) stressed the importance of knowledge economy in boosting nations' economic development. Enhancing and supporting creative and productive minds are essential for building a prosperous future, KSIS' Head Dr Fatima Al- Thallab told KUNA, noting data and knowledge have become key resources for today's economy. KSIS, established by a ministerial decree No. 29 /1 of 2016, aims to support Kuwaiti inventors, reinforce their productivity, and help them accomplish outstanding achievements in the science and invention field. The society also tends to build a national scientific system for Kuwaiti inventors to support their talents, boost their scientific ambitions, and assist them in turning their creative ideas into a productive reality, she said. Some of KSIS' objectives include increasing public awareness of the importance of creativity, invention, and knowledge in societies' development, supporting Kuwaiti potentials to produce creative ideas, and harnessing all possibilities for inventors to highlight their products, she mentioned. Al-Thallab added KSIS tends to provide technical and media backups for Kuwaiti inventors, highlight their role in societies, contribute to make them role models, and enhance their skills through scientific training courses, conferences, exhibitions, and forums. The society also aims to adopt specialized scientific programs in invention to enable young scientists and inventors to produce creative ideas that could lead to a possible invention, she said. KSIS plans to cooperate with scientific bodies and state authorities in preparing studies and researches regarding inventions development, contributing to develop schemes in the invention field and make them successful, and holding scientific, cultural, and social symposiums, conferences, and forums, said Al-Thallab. It also aims to publish specialized scientific periodicals and journals, in addition to cooperating with Arab scientific bodies in elevating the creative level of Arab people, and encouraging bilateral cooperation and expertise exchange among Arab inventors, she added. Furthermore, KSIS' strategic goals include acknowledging the needs of inventors from various group categories, enhancing programs and services presented to inventors, expanding cooperation with various sponsoring bodies, she noted. Al-Thallab mentioned there are currently nine committees working in KSIS, including committee to support female inventors, committee to support junior inventors, committee to support youth inventors, committee to support elders and special need inventors, intellectual copyright committee, local and international relations committee, cultural and scientific committee, media committee, committee to endorse inventions viable for investment. 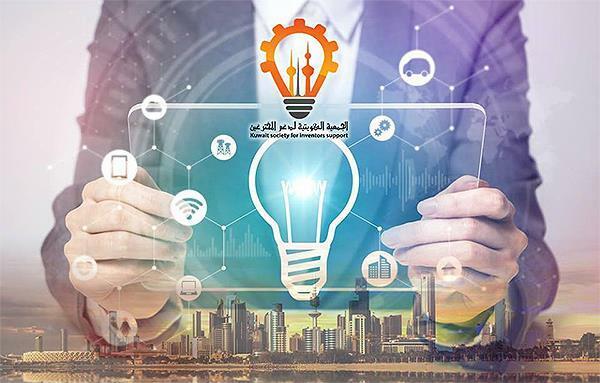 For his part, Director of Public Relations and Information at the Ministry of State for Youth Affairs Nasser Al-Arfaj affirmed keenness to back inventors and innovators, in addition to supporting winners of local, regional, and international awards. So far, the ministry supported over 200 projects related to the field of creativity and development, Al-Arfaj affirmed, adding the maximum financial endorsement the state body could afford to support such projects is KD 6,000. Through its regulation to support youth projects and initiatives, the ministry also backs several inventors and achievers as a way to motivate youngsters and launch competitions among Kuwaiti youth in developing projects and inventions, he said. It also sponsor youngsters to compete in the Kuwait Award for Excellence and Creativity, in which His Highness the Amir Sheikh Sabah Al-Ahmad Al-Jaber Al-Sabah honors most outstanding winners, the senior added, noting the Award is going to honor several inventors and innovators in its fourth edition this year. Al-Arfaj also said the ministry supports all non-profit youth initiatives in any scientific field that benefit the Kuwaiti society, particularly youngsters, noting such a strategy has been and still adopted by the state body since the past five years.